I have now had time to read and reflect on the anti-Darwin material you sent me in links last week. In an email to me, dated February 12, you appeared to seek my approval for an outspoken attack you had launched on Kevin MacDonald in November last year on the Veterans Today site. I refer, firstly, to your needlessly impolite article, “Kevin MacDonald is intellectually dishonest”. Here you made use of a header picture featuring Kevin MacDonald and David Duke. The picture carried a caption which plainly suggested that both MacDonald and Duke were “cowards” for refusing to enter into debate with you. “Cowards die may times before their deaths,” you quoted Shakespeare as saying, “the valiant never taste death but once.” You were plainly applying the word “COWARDS” to Kevin MacDonald and David Duke. It seemed to me that your assessment of their characters was unnecessarily harsh. I emphasze the word “COWARDS“, Jonas, by putting it in capital letters, because it would be clear to anyone with even a smidgen of intelligence what you are doing here. By juxtaposing the above picture with that nasty quote from Shakespeare you are suggesting in no uncertain terms that both men in the picture are “cowards” — for refusing to debate Darwin with you. If this is not a vicious personal attack, what is? Can you please tell me how Kevin MacDonald is a “coward”—as you slyly suggested in your quote from Shakespeare above—for refusing to enter into dialogue with you? What emeritus professor of evolutionary psychology is willing to waste his time debating Darwin with an angry young man who has called him “an abject failure” and accused him of being “intellectually dishonest”? If I may say so without giving offense, I find it hard to understand how the author of The Culture of Critique can be cast in the role of a pseudo-intellectual by a columnist on Veterans Today! Darwinism is morally incoherent, philosophically repugnant, and existentially worthless…. MacDonald is not even prepared to deal with blatant contradictions in his own system. More importantly … MacDonald doesn’t even make an attempt to address the fundamentally (sic) problem responsibly, which is intellectually embarrassing…. A correspondent sent me an email earlier saying that he sent MacDonald my critique of his views to see his reaction. To the correspondent’s dismay, MacDonald responded by saying: ‘Sorry, I am not going to deal with someone who denies the scientific validity of Darwinism.’ …. MacDonald’s followers will almost certainly find these statements outrageous. Great! I’m sorry, Jonas, but I simply cannot understand what has gotten into you. For a man so benign and friendly at the best of times, you are displaying here an alarming deficit of charm. Attacking Darwin is fine. No problem. You are not the first person to attack Darwin. Join Bishop Wilberforce! What is totally inappropriate, however, is not so much your attack on Darwin as your ad hominem onslaught on Kevin MacDonald for declining to enter into a debate with you. Is Kevin really a “coward” for preferring to keep quiet and leaving you to your own devices? If he happens to dislike your tone and is not overly impressed with your knowledge of Darwin, surely he has a right to tactful silence? You are an enormously talented and likable man, Jonas, and I hold you in the highest respect, so I’m hoping you will appreciate that all I have said so far is sincerely meant and for your benefit. 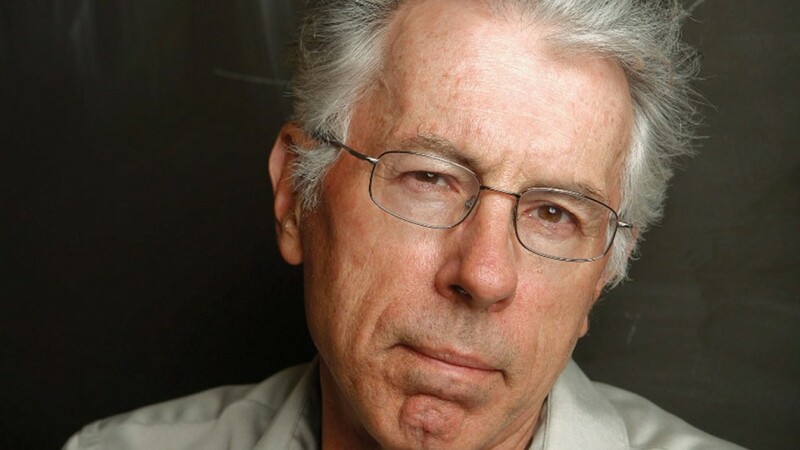 Like Kevin MacDonald, I have no wish to enter into debate with you on the subject of Darwin. Instead, I will append a few notes here for the benefit of other readers. These scattered observations may help to convince a few anti-Darwinists that it is time to give Darwin the respect he deserves. The same applies in spades, a fortiori, to some of the more disreputable Darwinists preaching natural selection, or the Survival of the Fittest, without checks or balances. Social Darwinists like the mysterious Ragnar Redbeard, author of Might is Right, would have been given the boot almost at once if he had somehow managed to gatecrash one of Darwin’s dinner parties. So it is a mistake, a monstrous ideological error, to conflate the moderate and delicately nuanced Darwinism of Charles Darwin with the harsh, dog-eat-dog Darwinism of his more extreme and, in some cases, mentally deranged disciples. Unfortunately, this is what many superficial thinkers do nowadays. 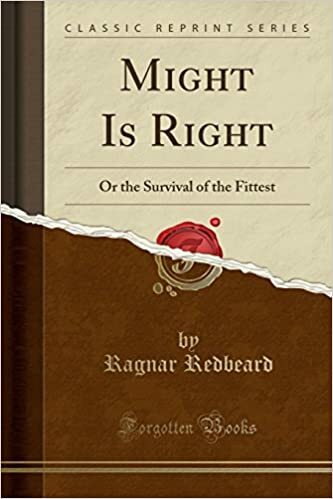 They think there is only one kind of Darwinism: the dog-eat-dog Darwinism of Ragnar Redbeard and his grotesque “Might is Right” camp followers. There are more types of Darwinism than there are colors in the rainbow. Failure to understand this, that there is a broad spectrum of views on what Darwinism actually means, will lead invariably to strident denunciations of Darwinism. Understanding Darwin is not easy, because there were times when Darwin hardly understood himself. He was modest enough to admit it. Nuance. That is the operative word here. You make use of this quote, Jonas, more than once — “The natural world has no moral validity or purpose”— obviously outraged that Darwin should have uttered such a monstrous heresy. You quote Janet Browne’s magisterial 1200-page biography of Darwin as your source for the quote. (Volume 2, p. 54). However, you give the entirely wrong impression that it was Darwin himself who said this. And Darwin said no such thing. There’s no need to go down the path of pessimism and assume the worst. For the truth is that the proposition “the natural world has no moral validity or purpose” is a not something most Darwinists believe. Darwin himself certainly didn’t believe that. Darwin, and certainly Wallace, the co-discoverer of evolutionism, were far more optimistic and bracing in their world views than this miserable quote you have produced (not even’s Darwin’s own words) to make Darwin look like a gloomy killjoy. That memorable sentence which forms the finale to Darwin’s magnificent work of genius is infused with a moral grandeur unparalleled in the literature of science. “Endless forms most beautiful and most wonderful…” That sentence sends a shiver down the spine. It has brought tears to countless eyes down the ages. You can see that the man who wrote it is moved to the depths. How long did Darwin take to write that sentence? Thirty seconds? No, it took him thirty years. You appear to be under the misconception, Jonas, that Darwin was a heartless atheist and crude White Supremacist who had no compassion for the old, the weak, and the sick. Nothing could be further from the truth. You conflate the gentle views of the amiable Darwin with the harsher views of Herbert Spencer and the far more extreme views of Ragnar Redbeard and his Social Darwinist philosophy as set out in his book, Might is Right. It has often been said that the anonymously authored Ragnar Redbeard book was meant as a cruel parody of Darwinism. Indeed, as a satirical spoof. I can well believe it. The Marquis de Sade could have written it as a tongue-in-cheek literary exercise. Those who take this book seriously could be making a big mistake, unaware that their legs are being pulled. (See here). Like all other bona fide movements, including Christianity, it is possible to turn Darwinism on its head by pushing it to its extremes and making a reductio ad absurdum out of it. Just as Christianity can be held up to ridicule and contempt by suggesting that all Christians are hypocrites for not being perfect as Christ enjoined — “Be ye therefore perfect”— and for failing to love their enemies and giving all their wealth away to feed the poor, Darwinism can be mocked and demonized by suggesting that there is nothing wrong with cannibalism and mass murder if they promote the survival of the fittest: if they help, in other words, the strong to survive and the weak to be wiped out. And so we have the febrile slogans of Ragnar Redbeard, an anonymous Victorian gent snickering up his sleeve as he dishes up a farrago of fine phrases that constitute a cruel parody of Darwinism. Ragnar Redbeard is Nietzsche on steroids, doing his best to make Darwinism look like a hell pit of horrors. Napoleon was Darwin on horseback. Be thou a Napoleon—do not be Christ! … Christs may come and Christs may go but Caesar lives forever. This world is too peaceful, too acquiescent, too tame. It is a circumcised world. Nay! — a castrated world! It must be made fiercer, before it can become grander and better and — more natural…. When men cease to fight — they cease to be — Men. All men who would obtain freedom must obtain wealth ‘by hook or by crook’. There is a strong affinity between the criminal and the conqueror. Women shed tears; Men shed blood. — Ragnar Redbeard, quotes from Might is Right. All this is far cry from Darwinism. Anyone who believes that Darwin would have nodded enthusiastically over the above laughable sentiments has never studied Darwin or contemplated his heroic life struggle. Ragnar Redbeard sounds like an undergraduate in his cups who has just finished reading Nietzsche’s Thus Spake Zarathustra and has been knocked on the head with a blunt instrument. You seem to be totally unaware, Jonas, that the word “CREATOR” occurred in the final paragraph of Darwin’s Origin of Species. Though the all-important words “BY THE CREATOR” had not appeared in the 1st edition of November 1859, it had been added to the text by Darwin himself in the second edition of 1860 and to all subsequent editions during Darwin’s lifetime, right up to the sixth and final edition of 1872. These critical words — “BY THE CREATOR” — clearly demonstrating Darwin’s theistic leanings, were later to be removed without proper explanation in subsequent editions of The Origin of Species. The result has been to give the entirely false impression of Darwin as an out-and-out atheist, even though he himself had repeatedly rejected the atheist label. “I have never been an atheist in denying the existence of God,” he was to state flatly in a letter to his friend John Fordyce in 1879, twenty years after the publication of The Origin of Species and three years before his death. In his own words, he had “never entirely discounted the existence of God”. In his Autobiography, Darwin tells us that by the time he had written the Origin he was already a theist who had come to believe in an intelligent First Cause. “It seems to me absurd to doubt that a man might be an ardent theist and an evolutionist,” he was to add significantly. The persistent misconception prevails that Darwin was an atheist, despite the fact that he repeatedly rejects that label and claims to be an agnostic — an agnostic with theistic propensities. Darwin’s religious views need to be discussed in greater detail. We need to consider the case of Gregor Mendel, an Austrian monk who not only managed to sing hymns to the Christian God several times a day but who was also the father of genetics, acting as the essential link between Darwin and Watson and Crick, the discoverers of DNA. While it is perfectly true that many prominent evolutionists have been incorrigible atheists—Thomas Huxley (“Darwin’s bulldog”) and Richard Dawkins (“Darwin’s rottweiler”) are the most notable examples—it is equally true that some exceptionally gifted evolutionists have been passionate believers in God. 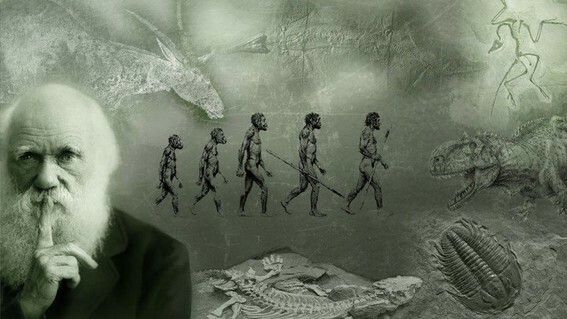 Two of the most eminent theistic evolutionists that spring to mind are Asa Gray, America’s most renowned 19th-century botanist and a personal friend of Darwin’s for decades, and Alfred Russel Wallace, the co-discoverer of the Theory of Evolution. Gray, a devout Unitarian Christian, was an ardent believer in intelligent design. Wallace, while not a Christian, was a religious mystic with a theosophical bent who not only believed in intelligent design but in a life after death in a purpose-driven (“teleological”) universe. Social Darwinism may be bad, but why blame Darwin for that? He rejected Social Darwinism and distanced himself from it. He was not the standard bearer for Social Darwinism. If Darwin had been even half the monster you have conjured up in your vivid imagination, he would have been in support of slavery. Natural selection, after all, decrees that if men becomes slaves, it’s because they are too weak and stupid to be anything but slaves. If they were stronger and fitter, after all, they would be slave owners, not slaves. Paradoxically, Darwin rejected natural selection, his own doctrine, in favor of a civilized altruism that sprang from moral convictions and from his early upbringing as a compassionate Christian. As a consequence, Darwin was one of the most passionate advocates for the abolition of slavery. What better proof do we need that Darwin took natural selection, the Survival of the Fittest, with a pinch of salt? Natural selection is fine in the jungle. It’s fine in theory. But it’s not fine in practice, and it’s unacceptable in a civilized society. You don’t push the old and sick over the clifftop just to create more Lebensraum for the young and fit. As for Darwin being a White Supremacist with condescending contempt for the darker races, as you seem to believe, that, too, is a total misconception. Darwin had a far more enlightened attitude toward the darker races than you give him credit for. If you doubt this, ask yourself: who taught Darwin taxidermy? It was a Caribbean ex-slave of African origin whom Darwin had befriended while he was still a medical student at Edinburgh University. Darwin might have never proposed his revolutionary ideas if not for John Edmonstone. 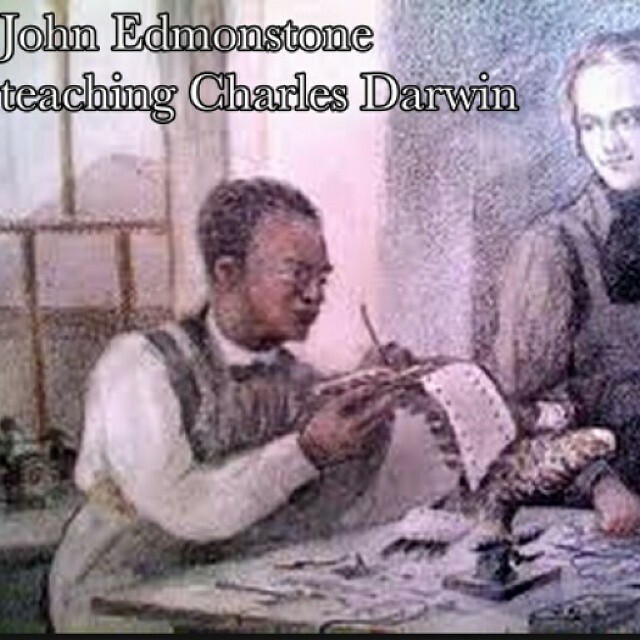 A freed Guyanese slave, Edmonstone taught Darwin taxidermy at Edinburgh University. During his voyage around the world on the S.S. Beagle, Darwin collected and preserved the famed finches using the techniques Edmonstone taught him, allowing him to draw his pivotal conclusions. Edmonstone’s vivid accounts of Guyanese rainforests might have also inspired Darwin to study natural history instead of medicine. In 1807, Edmonstone’s master brought him to Edinburgh and freed him. Edmonstone settled in a house a few doors down from Darwin and his brother, Erasmus, earning his living stuffing birds at the Natural History Museum and teaching taxidermy to Edinburgh University students. You see? Darwin was the very opposite of the White Supremacist “racist” you have conjured up in your fevered imagination! He got on famously with ex-slaves of African origin. Darwinism was to have a profound influence on both Hitler and Stalin who adopted enthusiastically Darwin’s “Survival of the Fittest” doctrine and gave it a sinister twist that Darwin would certainly have deplored. In Hitler’s case, Darwinism was to provide a rationale for experimental eugenics without ethical constraints, the conquest of Lebensraum, and the aggrandizement of the Aryan Master Race at the expense of other races deemed to be inferior and expendable. (See here). So it is argued by most mainstream historians. We may not all accept this, but this is how most intelligent observers see the profound influence Darwin had on Nazi Germany. The point is, why blame Darwin for the excesses of the Nazis? In Stalin’s case, Darwinism, or rather its misinterpretation and corruption, offered an excuse for the messianic atheism inseparable from Communism. This was to lead to the mass murder of at least 20 million innocents, mostly Christians. This is the mainstream figure, now widely seen as an underestimate. Solzhenitsyn and others put the figure much higher, at over 60 million. These victims of Communism were essentially the peasant proletariat and the industrial working classes who opposed the grandiose “repairing of the world” — i.e., revolution without the consent of its victims — that was to end in the hideous dystopia dreamt up by Marx and his misguided followers. The descendants of these psychopaths are still, alas, very much with us today. The Stalin cult continues to flourish in contemporary Russia, mostly among atheists and secular humanists, given that Christianity and Stalinist Communism cannot possibly coexist and flourish side by side. (For corroborative details, see this informative article: Stalin’s Brutal Faith). It is undeniably disturbing to reflect that both Stalin and Hitler were devout disciples of Darwin, especially of Darwin’s “Survival of the Fittest” doctrine, which they used as a justification for ruthless totalitarianism. But why blame Darwin for the excesses of Lenin, Trotsky, Lazar Kaganovich, Ilya Ehrenberg, and Stalin? Darwin, after all, was not responsible for the Bolshevik Revolution or for the millions killed by Mao Tse-Tung in Communist China. It is reported that Karl Marx once wrote a letter to Darwin, asking him for his permission to dedicate the first volume of Das Kapital to him, and that Darwin refused to give his permission. Which amounted to a cruel snub for Marx, the bearded prophet of Communism. This story has now been dismissed as apocryphal, but many still believe it. Whether the story is true or not, one thing is certain: that Darwin declined to have anything to do with a similar Communist organization, at a later date, that purported to follow the teachings of Karl Marx to the letter. 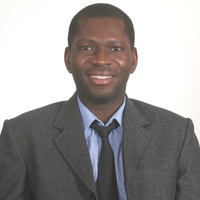 (See Francis Wheen, Karl Marx, pp. 363-369). So even if Marx had not been trying to cuddle up to Darwin and obtain his imprimatur for world revolution and the dictatorship of the proletariat, Darwin would have indubitably snubbed Marx in any case. Darwin was a moderate; at no time would he have wished to be associated with wild-eyed revolutionaries and gulag operators. Darwin knew only too well that these revolutionary fanatics would be only too happy to exploit the prestige of his name in order to use natural selection as an excuse for genocide — genocide on an unparalleled scale. The false idea under which you, Jonas, have apparently fallen, is the grotesque view that Darwin was ready and willing to underwrite genocide; and that “natural selection” somehow gives everyone a right to trample on the poor and get rid of the old and sick when they become a burden. This is not the case. We are not all tigers, baring our fangs in the forests of the night. We are human beings, and some of us are vegans. Pushed to its reductio ad absurdum, natural selection, the doctrine of the Survival of the Fittest, can provide a perfectly plausible excuse for cannibalism. After all, why not eat our neighbors if it helps us to survive? The sinking of the Titanic provides us with a striking example of how natural selection doesn’t work in civilized societies. The old and the sick, the women and children, were the ones who survived the iceberg. The men, the strongest and fittest and bravest, these were the ones who went down with the ship.